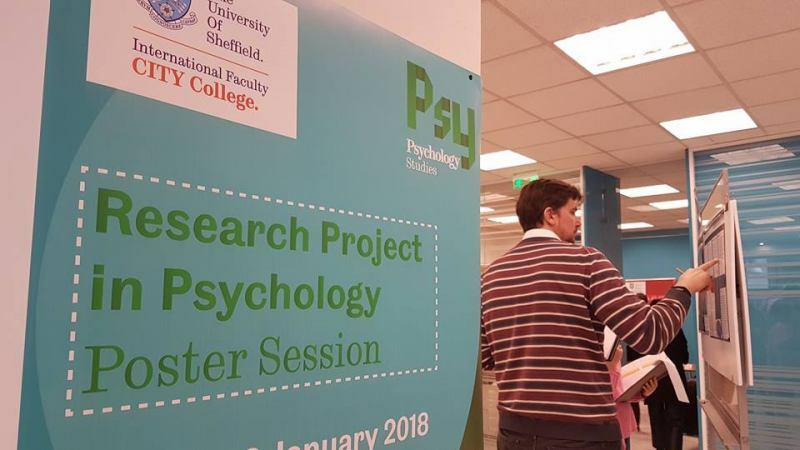 On Friday, 18th January 2019, the final year students of the International Faculty's Psychology Department held a poster session for their Research Projects due to begin soon. 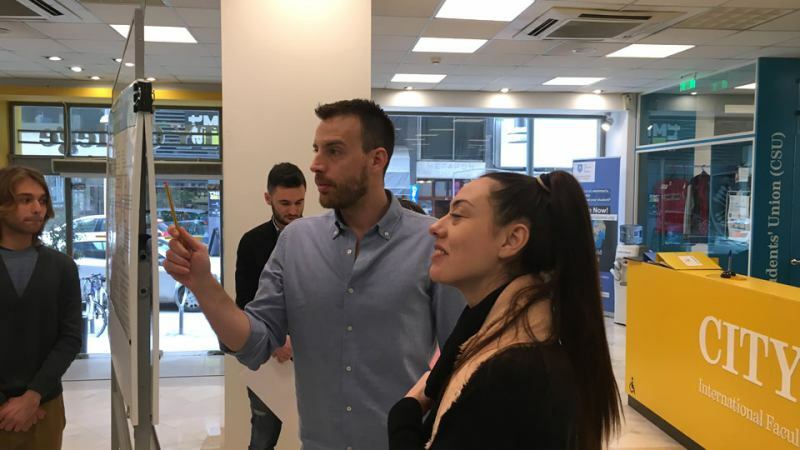 The event took place at the reception hall of the Leontos Sofou building at our main campus in Thessaloniki. 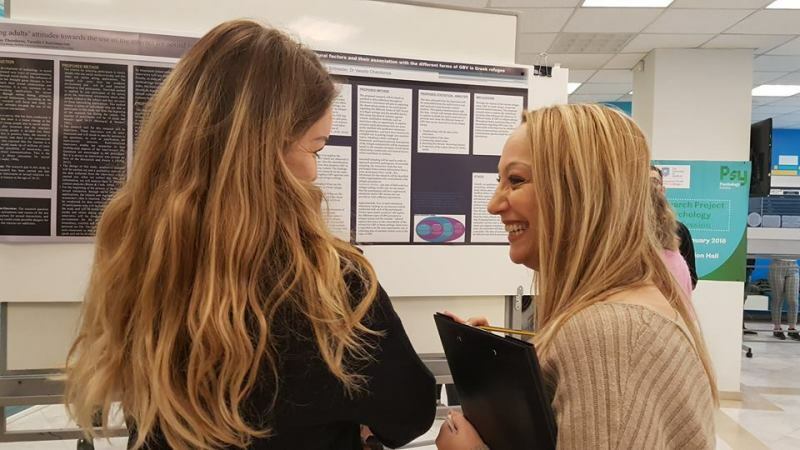 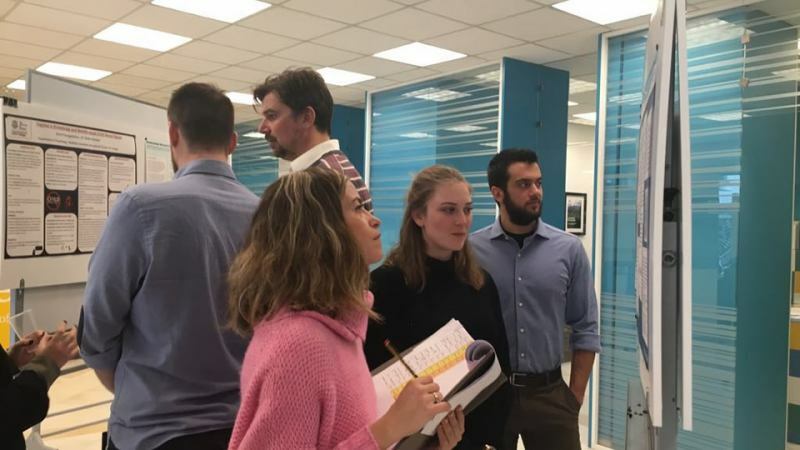 Led by Dr Aristea Ladas, the poster session aimed at providing students with the opportunity to present their research proposals and receive feedback on their planned study from Psychology Department academic staff, in addition to that received by their supervisors. 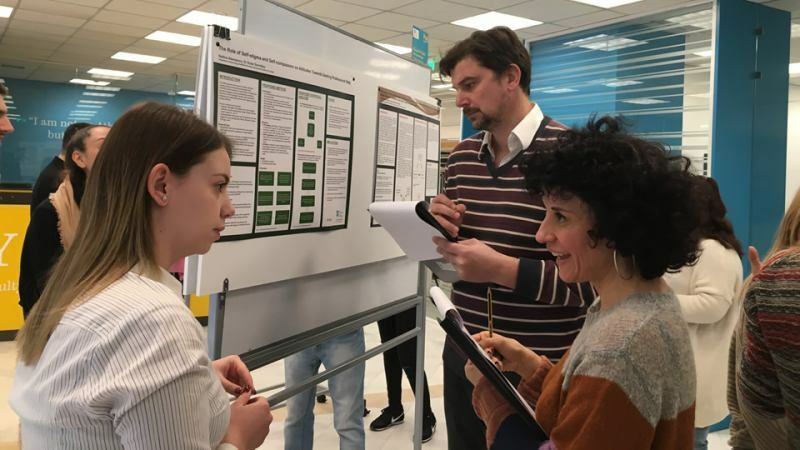 Additional and diverse feedback is intended to enable students to better design their research. 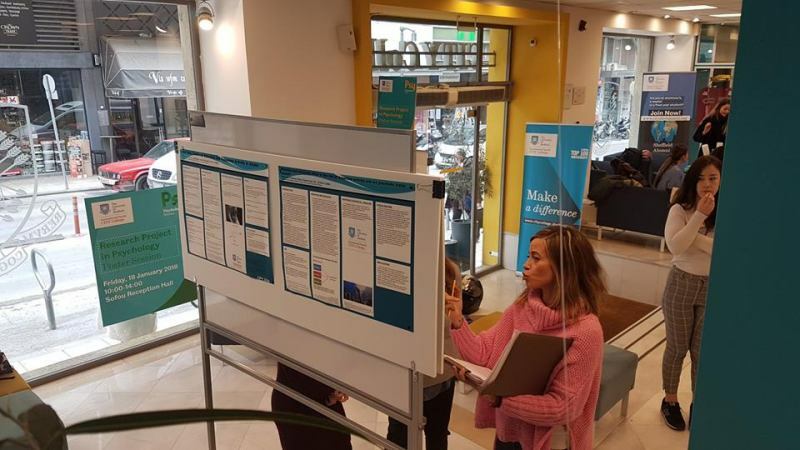 During the event the atmosphere was pleasant, easy-going and communicated to our students that receiving feedback can be both interesting and fun! 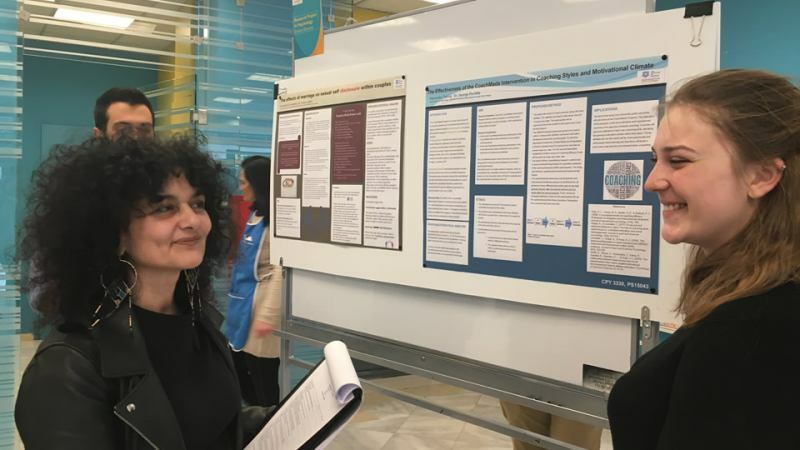 Simulating a proper conference poster session also gave our students a first-hand experience of how it will be to present their research in conferences, adding to their skills as mental health professionals. 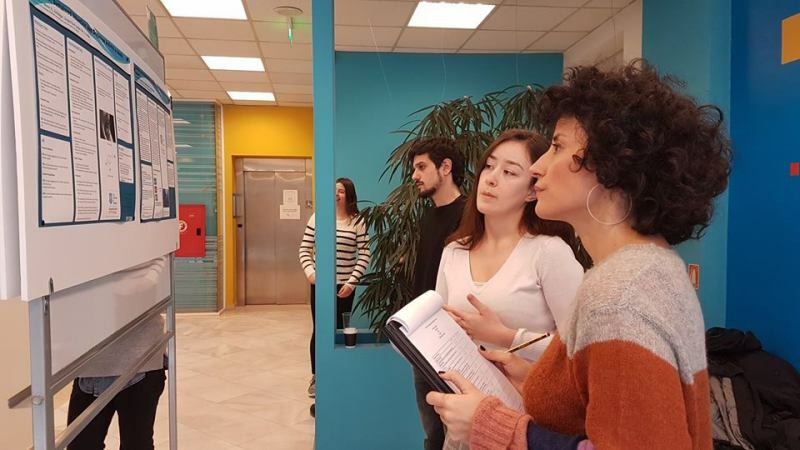 We wish to our students best success in the continuation of their projects!